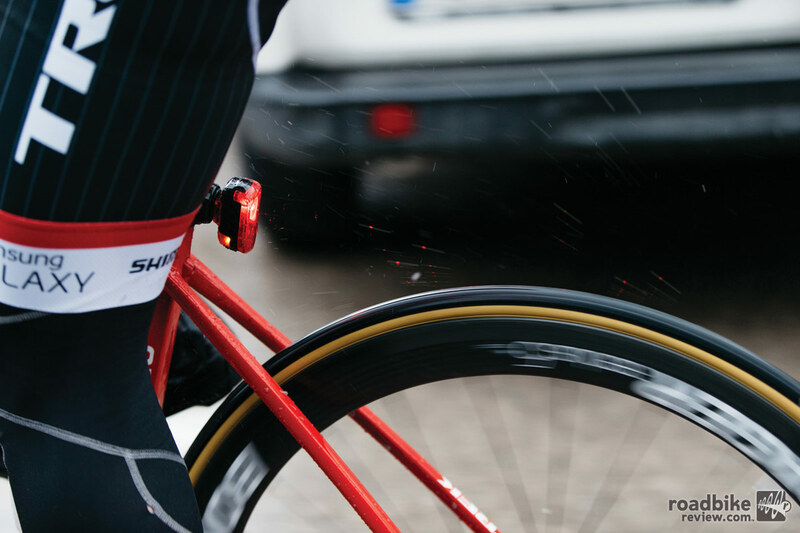 Bontrager’s electronics development team studied flash patterns designed to catch the eye of drivers. In an effort to enhance rider safety, Bontrager has unveiled a new cycling taillight specifically designed to increase rider visibility during daylight hours. The Flare R utilizes a 65-lumen CREE LED light that’s easy to spot even when the sun is shining bright. The USB-rechargeable device weighs a claimed 36 grams and can be attached to a seatpost or saddle bag. 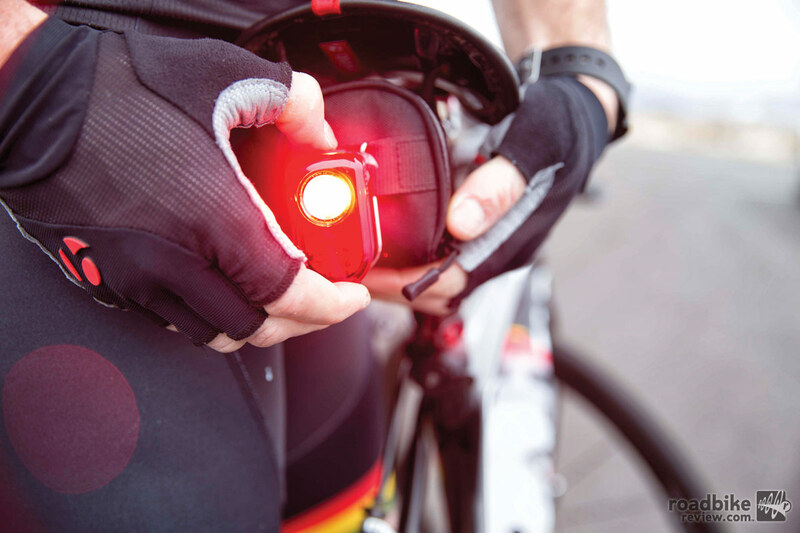 Bontrager says its electronics development team studied flash patterns designed to catch the eye of drivers in passing vehicles, and then applied that information into the design of this light. The Flare R also communicates with its user; when the light reaches 25% remaining battery life, the LED on the top of the light’s on/off switch changes from green to red. When the battery is run to 5% of its charge, the Flare R automatically switches to low battery, auto flash mode by lowering lumen output. This provides the user an additional 1-2 hours of run time. Full recharge is claimed to take 2.5 hours. MSRP is $60. Make yourself safer from distracted drivers. 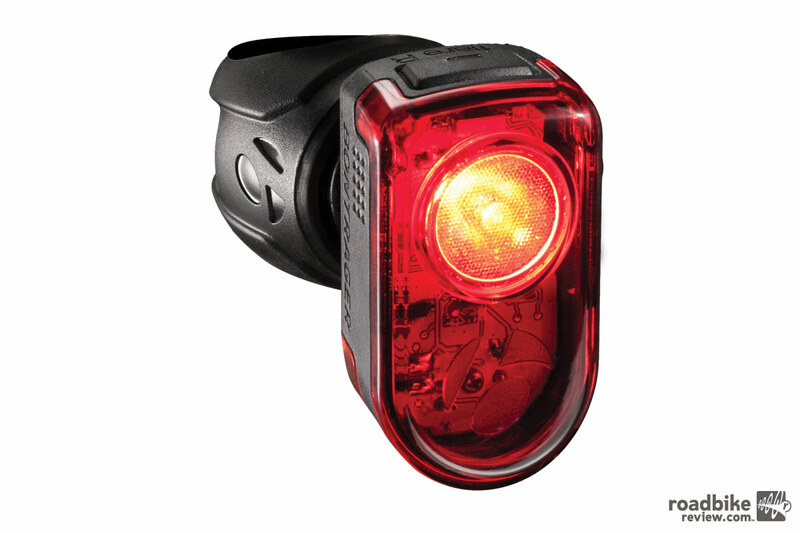 Bontrager says it focused specifically on a daytime taillight because studies show that 80% of cycling accidents occur during the day, and that 40% of all bicycle vs. car accidents resulting in the fatality of a cyclist occurred when the victim was struck from behind. The USB-rechargeable device weighs a claimed 36 grams and can be attached to a seatpost or saddle bag. Flare R will flash in four distinct patterns, two for daylight-riding and two designed for nighttime usage. The Day Flash mode utilizes the full 65-lumens capability in a strategically placed random flash pattern designed to draw a motorist’s eyes. Fully charged run time is 5.75 hours. Day Steady mode uses 25 lumens of steady illumination and is great for group rides. Fully charged run time is 4.25 hours. Night Flash mode uses an irregular flash pattern punctuated by short pops of increased intensity. Fully charged run time is 23 hours. Night Steady mode provides 5 lumens of steady light that’s suited for consistent nighttime visibility. Fully charged run time is 21 hours. The Flare R utilizes a 65-lumen CREE LED light that’s easy to spot even when the sun is shining bright. Bontrager says its electronics development team studied flash patterns designed to catch the eye of drivers in passing vehicles. Charged the day before, worked over 9 hours of continuous use in daylight intensity flash setting.